Why are Thai men generally not interested in relationships with foreign women? And why don’t western women care much about Thai men? After all Thailand is known for cross-cultural relationships and men come here by the tens of thousands to find female Thai partners. Why is this largely a one way street? Why do you rarely see Thai men with western women? Who follows whom in the relationship? Thais are shy people compared to most westerners. Culturally it is not acceptable to show strong emotion, get angry, yell at people, confront someone head-on, or have an intense argument. On top of that in many Asian cultures the woman traditionally follows the man much more compared to the total equality concept that is prevalent in the west. And here we have a major sticking point. Western women have no intention of merely following a Thai man, they have no qualms about speaking their mind, and they mostly insist on a good deal of independence, free thinking and freedom of choices. All this is so much opposed to the Thai relationship model, and it would make most Thai men feel uncomfortable or even threatened. No cheating allowed – period! Thai men often have second wives and/or regular affairs with sexual partners. Although Thai women do not like that, they often put up with it. Western women would never tolerate such behavior. Many Thai men would feel that their lifestyle is too much restricted by a relationship with a western woman. Who is the prettiest of them all? A third reason is that generally Thai men do not find western women as attractive as Thai women. It is not common that Thai men stare at western women or pursue them or harass them in any way. There are exceptions, like in major tourist or beach areas where foreign women easily come into contact with the Thais. But in general western women are rarely harassed or pursued or even sought out by Thai men. This is not the case everywhere in Asia. In India for example women often experience unwelcome advances, and in Bali you typically see relationships between Balinese men and western women which are very actively initiated by Balinese men. There are Thai man/western woman relationships, but they are a tiny percentage compared to western man/Thai woman relationships. What all this means is that western men are like a kid in a candy shop in Thailand in the relationship arena. Western women however are often limited to relationships with other westerners, so their available choices are much fewer than for their male western counterparts. Rather than being in a candy shop they often feel that they are in a relationship desert in Thailand. Again there are exceptions to this scenario. For example in major tourist and beach areas young and attractive western women can be pursued by Thai men. However the motivation can often be that the Thai men regard women in beach attire as easily available. Let’s have a look at a fairly typical relationship between a western man and a Thai woman. The man has more money and supports his wife. Often he takes her to his home country and she has to adjust to a new culture. Because of her dependence on him for financial support and her challenge to adjust to a new environment in the west she relies on him for advice, education, integration, and her new way of life. She is happy to follow him since he is her life support in a strange new environment. Now take that same story, but exchange the sexes. Reread that story but imagine that there is a western woman who has a Thai husband. It it blatantly obvious that this would never work. It totally flies in the face of male psychology and ego. The whole concept is just unthinkable from a Thai man’s point of view. Thai women legally have equal rights and enjoy more freedom than in many oriental cultures. There was never a women’s liberation movement in Thailand, and men generally do not feel challenged by women. Despite their legal equality, Thai women have an amazing talent of being feminine, of retaining a female sweetness. They do not feel obligated to compete with men on their turf by wearing male looking business suits and ties and going head-to-head with their male co-workers. Rather than hiding their femininity, Thai women like to display it. Because of those characteristics it feels natural for Thai women to adjust to their western partners and even sometimes follow them to another country. But the other way round this is not working at all. A Thai man, who is generally more shy than western men, but who is nevertheless endowed with a typical male ego, in a relationship with a self confident and assertive, educated and financially independent western woman – it is mostly not a workable concept, and it rarely happens. This especially applies to Thai men from lower to middle class social environments. If the Thai man is well educated, financially well off, and from a higher social environment, then a relationship with a western woman might have a better chance. However few Thai men with such characteristics are looking for western female relationships. They are also not generally found in major tourist and beach areas, mingling with the tourists. The relationship scene in Thailand is definitely somewhat one-sided. This does not mean that women do not enjoy Thailand, but they are less likely to find a lover or husband here, and in most cases they would not want to. There are countless thousands of men who come here to find a partner or wife, but I am fairly certain that there is not a single woman who comes here looking for relationship heaven. Thai men and western women are just a much more difficult combination than the other way around. I am of course aware that there are exceptions to my statements above. However after living in Thailand for almost two decades, I am certain that my observations hold true for the majority. Besides, these are not just my opinions. 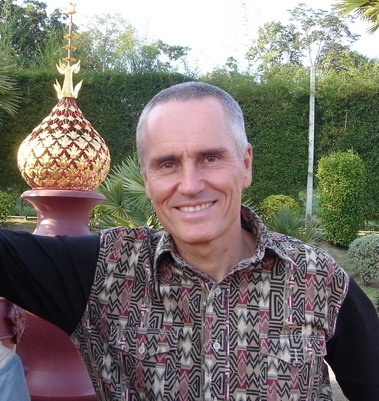 I have interviewed many Thais and westerners in order to get a good idea what they are thinking about this subject. Not everyone’s experience will fall into the general category which I described in this article, but it does hold true for the majority. I think another common cause that is language. Many of Thai’s men are relatively weak English language. It is a block that he has found love with a foreigner women. Western women need to remember: Thai men don’t want you! Trush is harsh but needs to be spoken. Stop hoping or dreaming to get into something long-lasting with a Thai guy, you’re wasting time. Ignore all Thai men always, just have fun there and enjoy this country. Stop caring about local men, be open to only Western guys, at least there’s a chance there for romance but even then, Western guys might prefer Thai ladies. Just enjoy life there without there. What means foreign women?! What country exactly? You got 262 countries count out there if not more. So? While it does seem there are many comments posted to challenge Shama’s observations-I whole hearted concur with his observations. In three months traveling thru Thailand I have never seen a Thai man with a foreign woman. Obviously the comments suggest otherwise and I agree these are exceptions. I detect an underlying note of defensiveness, a we are just as desirable as Thai women tone to some of the comments. Certainly from a male American perspective I find Thai women refreshingly feminine. I have often wondered if foreign women feel threatened by the physical grace, the warm smile and the seemingly genuine disposition to take care of their man. It is in the little acts like making sure your glass is full, or their preternatural awareness of your needs. Compared to the independence that so pervades post feminist western culture-which in my male chauvinist viewpoint-took the marrow from the bone, left relationships always in Flux between traditional values and progressive ideas. No doubt the nubile youth of any country can get the Thai testerone flowing, but it would be curious to hear about Thai male /foreign female relationships that have survived a few years. I certainly believe it is easier for a to adapt to the cultural expectations of thailand than a Thai man adjusting to our cultural norms. I get it here-it is all about Taking care of her and her family. Everything flows from that. I still ha e no clue what American women wants. That must say something. In spite of some comments in this thread, from a practical point of view, and as you confirmed, anyone who spends time in Thailand will see countless Thai woman-western man couples everywhere, and very rarely Thai man-western woman couples. Sure, they exist, but they are a small minority. And I know from talking to many people that indeed quite a few western women feel threatened by Thai women, and are afraid of losing their husband or boyfriend to them. I am sure I will catch flak from some readers, but it is true nonetheless. After talking to many western men in Thailand, I know that many, if not most, prefer the more feminine and sweet demeanor of the Thai women who don’t care about women’s liberation and such issues. I also have talked to many Thai women, and asked them if they feel disadvantaged and discriminated against, and none of them felt that way. In spite of combative comments, these are facts, not my opinions. I can’t get everyone to like what I write, or to agree with me. I am also not claiming that everything is rosy and perfect in Thailand (it is not). I am also not saying that no women are mistreated in Thailand (some definitely are). But the fact is that the feedback I got from most western men who live in Thailand is that they prefer Thai women over western women. Readers can get all upset about that, but don’t direct that at me. I am just reporting what answers I received when I talked to many people in Thailand. Sure, there are lots of relationship problems in Thailand – as in other countries as well – but in general there is an edge that Thai women have over their western counterparts in certain areas (femininity, sweetness, non-combativeness, non- competitiveness, for example), based on what western men report. To be fair, and this is my personal opinion, western women have an edge over their Thai counterparts in some areas, like when it comes to good communication, for example. I have plenty of personal experience with this. I am married to a Thai woman, and I have two nephews who are married to Asian women as well. And I have lots of western friends who are in relationships with Thai women. No, it’s not all perfect, but there is something about Thai women which western men find very appealing, and which western women don’t like to acknowledge. Like always, anyone can find exceptions to this observation, or come up with individual case histories which tell a different story, but the fact still remains that millions of western men are searching out Thai women, and millions of Thai women are actively looking for a western partner. This entire relationship series of articles is attempting to shed light on the pros and cons and reasons and angles for all this. I can never come up with all angles and all points of view. I have to generalize a bit, but my observations are valid for the majority of cases.